Hello dear readers, we are here now with our third activity for our first phase. It is going faster than I thought. I hope you are enjoying this series of posts. My target is around five activities for each phase. I do have a few more for each phase, but I want to provide you with a starting point for each phase. I believe that five per phase is a good start. I will continue adding a few more at the end. As usual, please don’t be shy about leaving your feedback/comments here or share with us your activity to address this subject. If you have kids, you could get a bunch of them in one or two weekends. Bring some newspapers, magazines, and old postal cards home. Spend some time with your kids cutting pictures from magazines and newspapers. Build your picture set with that plus the old postal cards. You will be surprised at the result. You also could buy image sets from the internet. 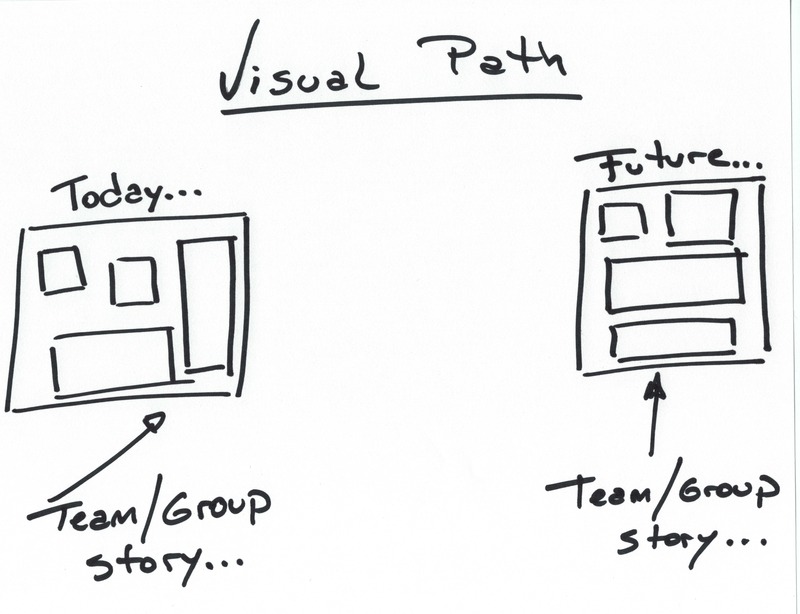 Using images enables groups to dig deeper into the psyche of its participants to reveal the group’s goal, and to align the core values needed to inspire the group to action. 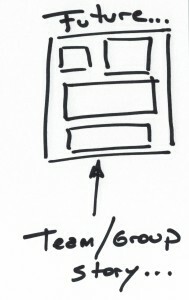 The first step to start with this is to create an image of what your organization/team/business unit feels like today. 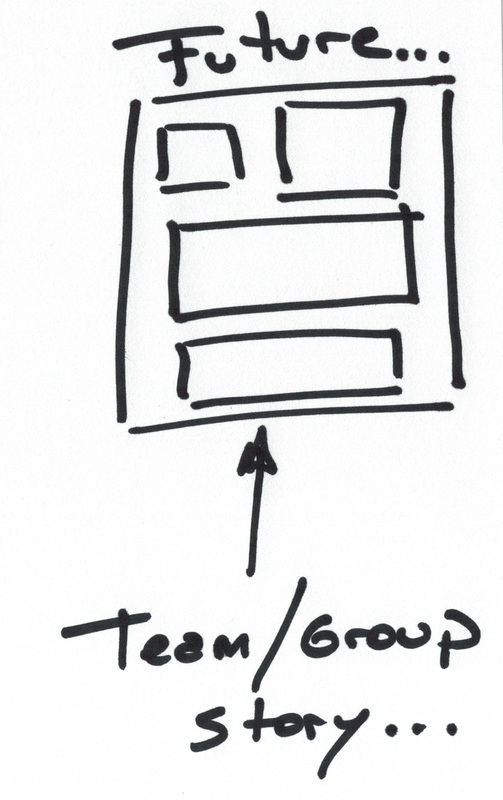 Individually, each member will take an image that represents his/her point of view of today’s picture of the group/team/organization (1 minute – to take an image + 5/10 minutes to tell the story to everyone). 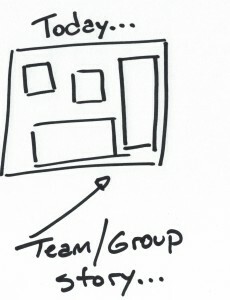 For the next step the group/team/organization will need to build the big picture. Everyone needs to add something to that big picture of her/his individual story. It does not mean that they have to add all from each individual story. Allow the team discuss and talk about this big picture (~15/25 minutes). The second step is the future: “What do we want to become in X years/months“. Here, you need to repeat the same procedure as before: First individually each member takes an image (remember only 1 min to choose one). Individually each person tells his/her story about the future. 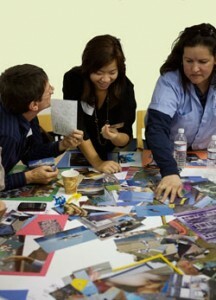 Afterwards, the full group builds the big picture of their future state. Everyone must add something to the big picture and everyone agrees with the final story. Allow the team again 15/25 minutes to think about it and discuss it. As usual, the most important part of this exercise is the story. The facilitator needs to help the team to record the result. How? Adding post-it notes with key words near each frame or big picture, recording the final story, and (or) taking pictures of the final stages of this exercise with the notes/key words (be sure to use the words that the group uses, don’t replace them). 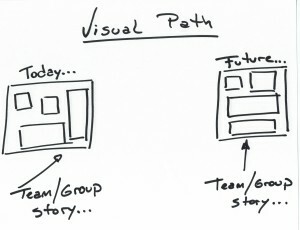 Focus on the story of each big picture and with the full participation of each person from your group. Don’t forget to allow time for debriefing. 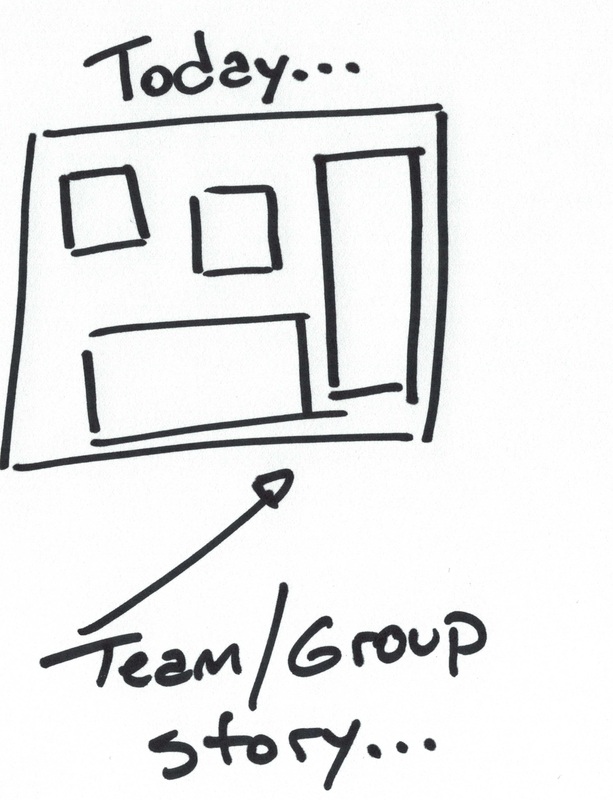 It should focus on the observations of the facilitator regarding how the group/team approached the process; as well as the patterns that the facilitator has noticed regarding the content of the images and how the group/team placed the images on the wall or frames. More activities for this phase and the next ones are coming. Stay tuned!